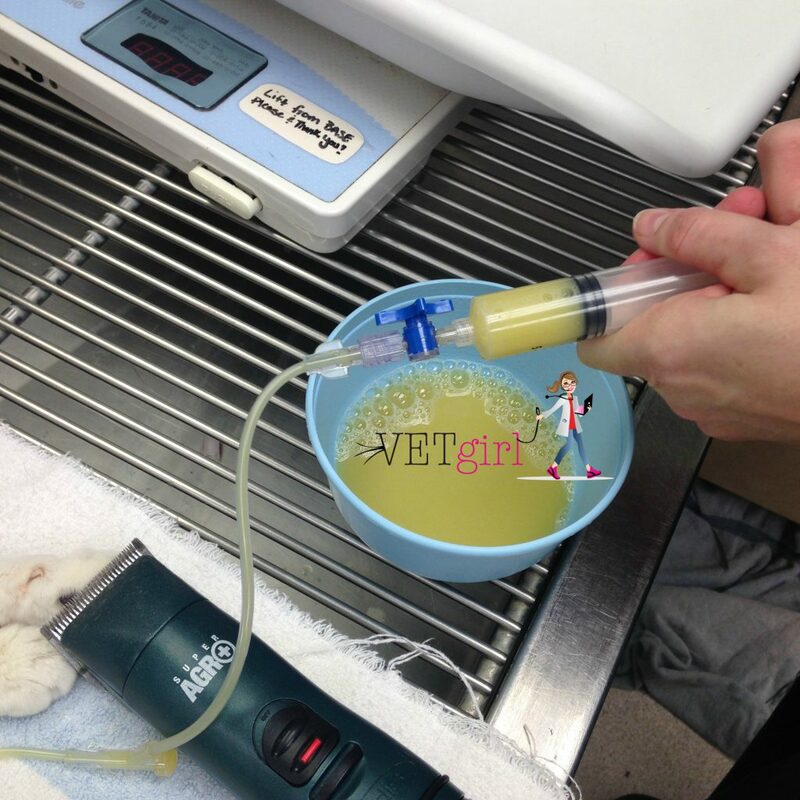 In this VETgirl online veterinary continuing education blog, we demonstrate how to perform an abdominocentesis in a patient with a severe, chronic septic peritonitis. This is a 1-year-old, female spayed domestic shorthair cat who presented for a 2-3 week history of abdominal distension, decreased appetite, muscle wasting, and progressive lethargy. The cat was adopted from a local animal shelter several months prior. The cat was recently spayed at the time of adoption, and developed a dehiscence where she had eviscerated her abdominal organs. A second surgery was performed to correct the dehiscence at the animal shelter at that time, and the patient was sent home with 2 weeks of antibiotic therapy. On presentation, this patient was severely dehydrated and concurrently hypovolemic with poor pulse quality. A fluid wave was palpable and the cat was hypothermic on presentation. Using sterile technique, an abdominocentesis was performed using a closed system, 3-way stopcock system to evacuate as much septic effusion as possible. The fluid was purulent, viscous, and foul. Approximately 700 mls of fluid was removed. 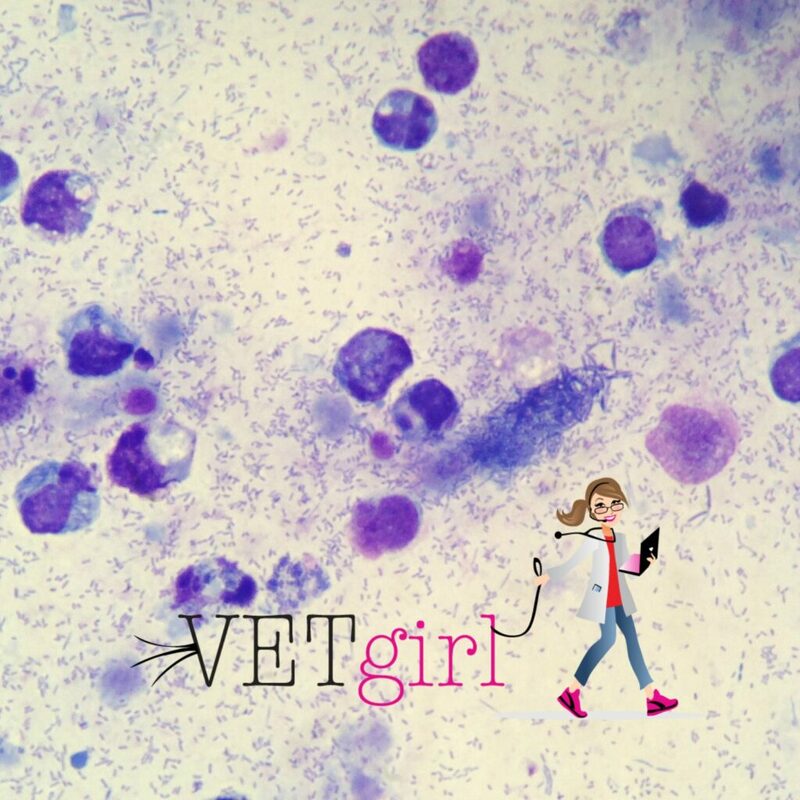 Cytologic evaluation revealed suppurative, septic inflammation with a massive amount of intracellular and extracellular cocci and rods, consistent with septic peritonitis. Ideally, treatment in this case would have included intravenous fluid resuscitation (with both crystalloids and colloids), clinicopathologic monitoring (e.g., complete blood count, chemistry panel, blood glucose monitoring, etc. ), blood pressure monitoring, heat support and appropriate thermoregulation, broad-spectrum antibiotic therapy, vasopressor support, symptomatic supportive care and surgical intervention once the patient was stabilized. Unfortunately, the cat was euthanized due to poor prognosis.